Began as a crafts fair on the lawn of the Lakeland Public Library, Mayfaire by-the-Lake has grown into one of Florida’s premier outdoor art festivals. Held on Mother’s Day weekend each year, Mayfaire is located on the shores of beautiful Lake Morton in downtown Lakeland, Florida. 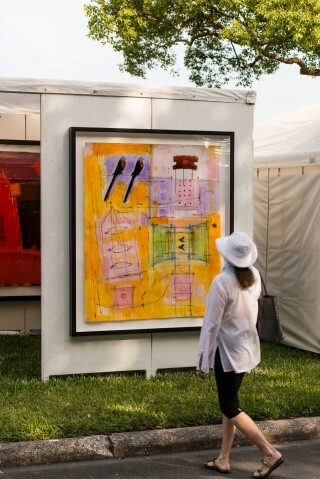 Mayfaire is one of the largest and oldest outdoor art festivals in Central Florida and is on Sunshine Artist magazine’s prestigious “Best 200 Art Shows” list as number 20 in 2016.